A new brewery in Newberg is stealthily making a presence in Portland. Long Brewing first caught my eye when the Cheese Bar mentioned having their beer; then I saw these bottles in the cooler at Pastaworks yesterday. My curiosity was dampened by the price tags on the bottles: $12.15 for bombers of the porter and the IPA, and $9.29 for the lager. The six-pack equivalent prices of $39.76 and $30.40 must be a Portland record for what appear to be just everyday beers. That's even beyond Upright Four -- which on tap is not any more expensive than its peers, but which is priced a little ridiculously in bottles for a bière de table. At least Four is a unique style, with an interesting story and technique behind it. Consider that bombers of Hair of the Dog Blue Dot were $7 on the same shelf as the Long IPA, and I have to hope the store made a mistake in pricing these. There was no way I was going to try one at that price. I've got an email out to Paul Long to learn more about his brewery, but haven't heard back yet. Google tells us that he had an impressive streak of wins at the American Homebrewers Association between 2004 and 2007 -- 4 gold medals, 2 bronzes, and the "Ninkasi award" in 2005. Sounds like a talented guy who has decided to live the dream. Has anyone tried any Long Brewing beers? Where did you see them? Currently I only do 22 oz bottles. No one has my beers on tap yet. The only other locations are restaurants around Newberg like The Allison Inn, The Painted Lady, The Joel Palmer House and the Horse Radish in Carlton. I am working on a larger system at which point I may do a limited number of kegs. 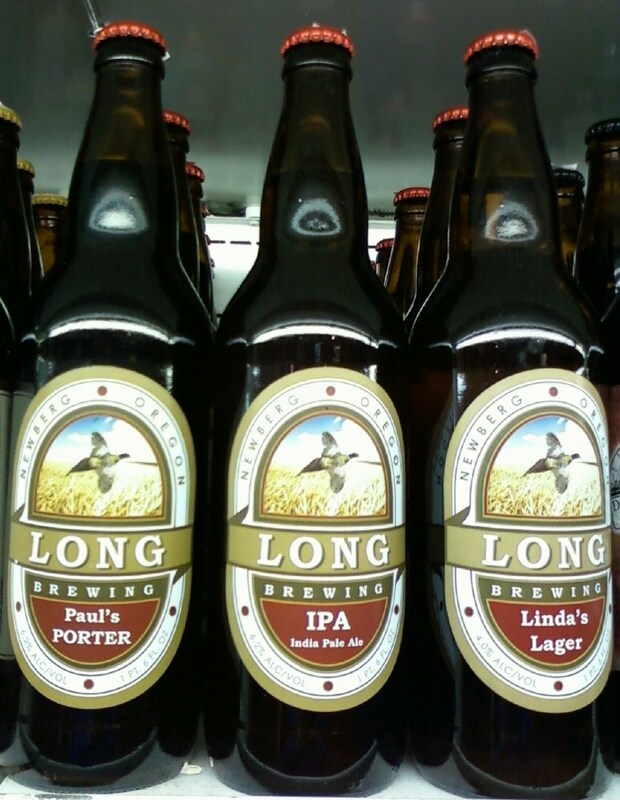 I sell direct $6/bottle for Linda's Lager and Kolsch, $8/bottle for Vienna Lager, IPA, Porter and Wee Heavy. Case price is $.50 less per bottle. I have not heard of anyone who has tried my beers thinking they were not worth the price. We use a No Compromise approach, the best malts, freshest whole hops, very hands on small batches with great attention to produce beers with expressive aromas and flavors that are integrated and balanced. If you're interested give me a call and come by for a tasting. So if you want to try these, your best bet is to contact Paul directly. For a porter or IPA, $7.50 is still relatively high but not unthinkable; $5.50 for the lighter beers compares pretty well with, say, Heater Allen. I'm from Newberg actually, I got on touch with Paul and meet up with him. His IPA, amazing. Well over 100 IBU but sooo balanced. Something my wife would even enjoy. The Jory (the bar at The Allison spa in Newberg) has two Long beers. Looks like you found it at a decent price too. They're asking I think $18/bomber. Either it costs way too much, or we're missing some key information about the product. That price is shocking to me. It's a few tiers above Pelican even which I won't buy because of the price. Rogue is about my limit.. but this? Ouch! I added excerpts from an email Paul Long sent me. Apparently I've spotted the only two Portland sources for the beers. @Mike: I hope you'll write up something on your blog about the beers and/or the brewer. Too expensive for me to take a flyer on. @pedXer: It costs way too much. He won't be able to grow a business at 2X Hair of the Dog prices. Maybe he'll sell all he cares to, though. Best of luck to him. @Brewmance: Pelican prices have come way down since they started self-distributing. Last I saw the standbys were all under $5. Or did they go back up again? Bill, good find. A brewery in Newberg--cool! Twelve dollar beer--less cool. But hey. How much is too much? When you can't sell the beer. 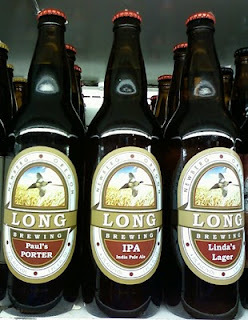 If Paul Long has figured out a business model that succeeds based on $12 porter, more power to him. (That price is more expensive than even an outrageous $6 shaker in a pub.) He's not aiming his product at the likes of me, and I probably will have to skip it unless Long wants to invite the media out for a tasting. But maybe the people he is aiming his beer at will find it a relative value. For the millionth time... The human palate can only detect Hop IBU bitterness up to about 85-90 IBU's anything over those numbers are a waste of brewers time and money. Nothing like a well informed brewer and audience. My guess is that he's trying to leverage his location in the heart of Oregon wine country to appeal to a wine crowd that will buy an expensive bottle of wine because, well, "it's expensive so it must be good." The locations he's peddling his beers are a few of the finer restaurants in the area so he's definintely being selective in his distribution. Living in Newberg, I would love to try his beers. Unfortunately, the price for a bomber and undoubtedly having to take my wife to one of the expensive restaurants to do so is a deterrent for me. Shane: I've updated the post again with the price Paul will sell to you direct for. I had edited that out because I wasn't sure if it was privileged info, but he told me I should let people know. Since you live in Newberg, call him up and he'll make an appointment for a tasting. I'd love to hear about it if you do. Oh man, I didn't want to bother him by trying to buy beer from him directly. I just grabbed the Vienna style lager for $12. $5 isn't bad for the Vienna but $7 is great for the IPA! His IPA is the best I have tasted. ever. The way I describe it to friends is "drinking a bouquet of flowers," in the best possible sense. You can get his beer by contacting Eat Oregon First (www.eatoregonfirst.com) which is a local food distributorship in Hillsboro. The price may shock some, but the beer is really delicious.